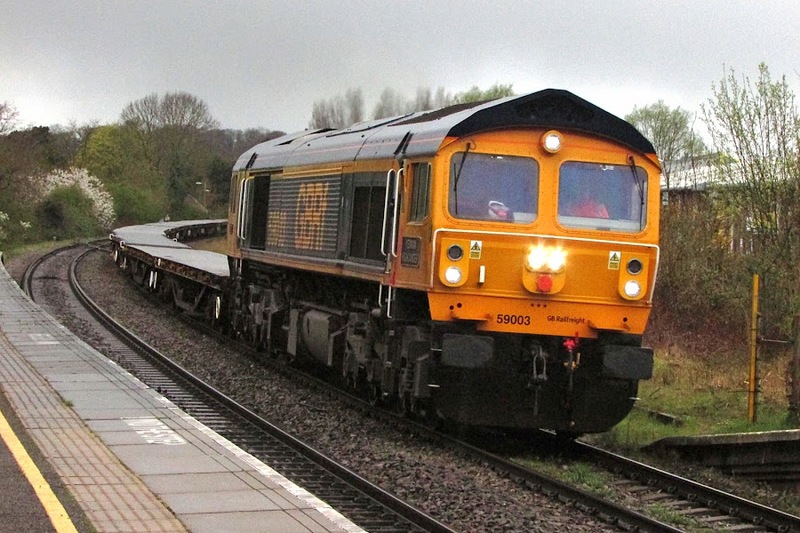 59003 YEOMAN HIGHLANDER passes Romsey with 6O31 in murky conditions on Wednesday 3rd. GBRf is now the operator of Westbury - Eastleigh CE trains. 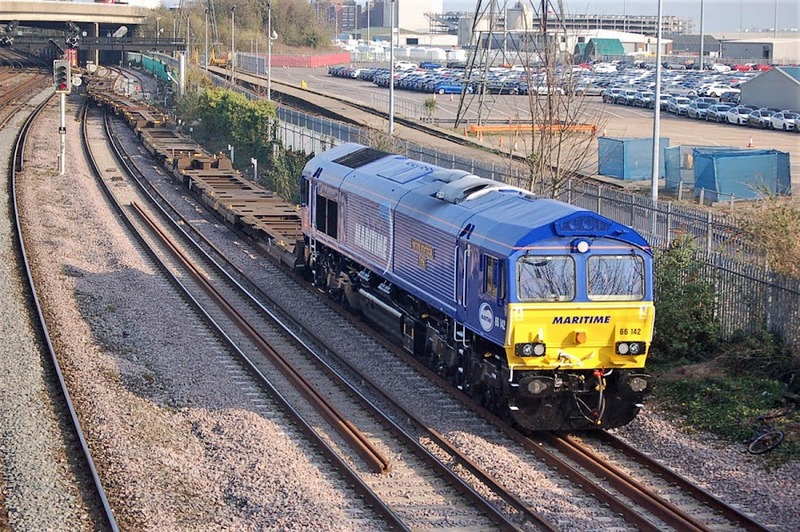 Newly re liveried 66142 Maritime Intermodal Three passes Millbrook with 4O21 09:12 Trafford Park - Western Docks on 1st April. Image by Ian Knight. 60065 was expected to move back from Acton to Westbury, but move appears to be deferred.